The North Carolina Museum of Art was established in Raleigh in 1947 when the General Assembly appropriated $1 million for the purchase of Old Master paintings. By that action, North Carolina became the first state in the nation to use public funds to create an art collection for its citizens. 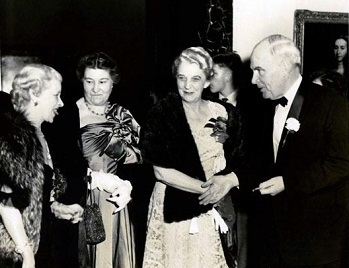 Although the State Art Society had begun in 1924 to promote the foundation of an art museum for the state, it was not until 1943 that Robert Lee Humber, international lawyer and state legislator, went to New York to search for sources of support. Through his efforts, the Samuel H. Kress Foundation matched the General Assembly's appropriation, and the purchase of paintings began. In 1953 the General Assembly authorized the expenditure of additional funds to renovate the former State Highway Building in Raleigh as a facility for the display of the collection. 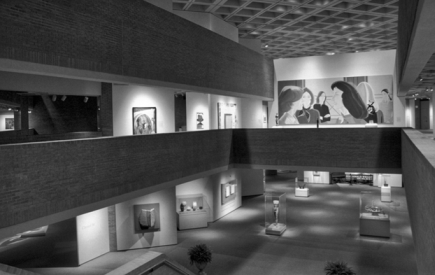 The museum in 1961 separated from the State Art Society, and in 1967 the General Assembly authorized the creation of a State Art Museum Building Commission charged with the construction of a new museum building. In 1983 the museum left downtown Raleigh for new facilities on Blue Ridge Road in western Raleigh. The modern museum includes exhibition galleries, a conservation laboratory, educational facilities, an auditorium, technical workshops, offices, a reference library, and a gift shop. The function of the North Carolina Museum of Art is to acquire, preserve, and exhibit works of art for the education and enjoyment of the people of the state and to conduct programs of education, research, and publication designed to encourage an interest in and an appreciation of art. The museum now houses a collection spanning more than 5,000 years of the history of art, from ancient Egypt to the present, making it a major cultural resource for the state and the region. In the 1990s, officials began working to develop outdoor portions of the museum's 100-acre site, which now includes several art installations and the Joseph M. Bryan Jr. Theater in the Museum Park. The outdoor theater, opened in 1997 with seating for 500 and a large lawn that can accommodate 2,000 additional guests, hosts films and musical performances. A clever feature of the museum's grounds is a massive representation of the phrase "Picture This" in 80-foot-long letters built of natural and man-made materials, readable only from the air. While continuing to build its contemporary art collection as well as one of the Southeast's finest collections of Old Master paintings, the museum in 1999 began a series of blockbuster shows highlighted by Monet to Moore: The Millennium Gift of Sara Lee Corporation, and Rodin: Sculpture from the Iris and B. Gerald Cantor Collection and Additional Works. The Rodin show drew 300,000 visitors and was accompanied by a number of related events under the name Festival Rodin, which became the largest-ever marketing effort for the arts in North Carolina. A major renovation of the Museum's European Galleries was completed in 2002. In 2003-4 a major observance of the centennial of the Wright Brothers flight at Kitty Hawk took place at the museum, centered on the special exhibit Defying Gravity: Contemporary Art and Flight. Between October 2004 and January 2005 the museum hosted another hugely popular exhibit, Matisse, Picasso and the School of Paris: Masterpieces from the Baltimore Museum of Art, which featured works by Van Gogh, Gauguin, Cézanne, Monet, Rodin, and Degas, as well as Matisse and Picasso. Edgar Peters Bowron, ed., The North Carolina Museum of Art: Introduction to the Collections (1983). Bowton, Edgar Peters, Editor. The North Carolina Museum of Art: Introduction to the Collection. Chapel Hill: University of North Carolina Press. 1983. Kirby, Peggy Jo D. The North Carolina Museum of Art: The First Fifty Years, 1947-1997: A Selected Chronology. [Raleigh, N.C.]: North Carolina Museum of Art. 1997. Paschal, Huston, editor. The Store of Joys: Writers Celebrate the North Carolina Museum of Art's Fiftieth Anniversary. Winston-Salem, N.C.: John F. Blair. 1997. Nagy, Rebecca Martin, and Spence, June, editors. North Carolina Museum of Art: Handbook of the Collections. [Raleigh, N.C.]: North Carolina Museum of Art. 1998. "Exhibit areas of the North Carolina Museum of Art." Photograph courtesy of the North Carolina Museum of Art, Raleigh. "Photograph, Accession #: H.1957.63.9." From the North Carolina Museum of History.